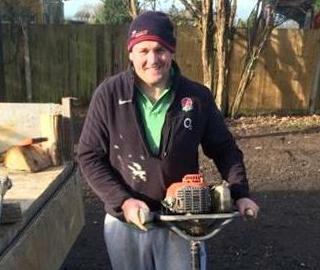 Established by owner Steve Ryan in 2007, S J Ryan Groundworks is a small family run business based in Horley, near Gatwick airport and operating throughout Surrey and Sussex. We offer a wide range of services to meet your landscaping needs. and always work to ensure that we provide a polite, friendly, reliable service. All of our work is carried out to the highest of standards in a cost effective way, using a small but largely experienced team of tradesman.